Marketers needed at a medical facility urgently. Send your CV to obisusmedicalservices@gmail.com before the Friday, 11th May, 2018. Minimum of 1 year’s relevant experience in sales and marketing. Transsion holdings is looking to hire a business development specialist. Interested candidates should forward a detailed copy of their CV to career.ng@transsion.com stating Business Development Specialist as the subject of the email. BSc/HND in Accounting Min of 2 Years experience. N/B: intended applicants must reside in Lagos. Minimum of SSCE or OND in marketing and business administration. Jabukore professional limited is in need of marketers in Abeokuta, Lagos and Ibadan. 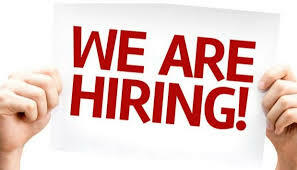 Send your CV to Eaglionconsults@gmail.com marketing experience is an added advantage. Application Closing Date : 21st May, 2018.